As art therapist Stephen Legari notes, there’s nothing new about the connection between art and health, or the use of art as part of the healing process for physical and emotional health issues. What is new, however, is the concept of delivering art therapy not in a medical setting or a school, but in an art museum, and specifically as a form of treatment prescribed by physicians. As reported in a recent podcast from Hyperallergic, Legari works full time at the Montreal Museum of Fine Arts (Musée des Beaux-Arts Montréal), where he sees about 1,200 patients a year, typically in groups of up to eight people, each organized to address specific patient needs. Legari explains that the concept of “social prescribing”—encouraging patients to actively participate in their own healing by seeking out social experiences in their communities—originated in the UK in the mid-1990s. He says art therapy programs like his are growing in Canada. Hyperallergic notes that Legari, who began his program in 2017, was the first full-time art therapist in a North American museum. More recently, the Eskenazi Museum of Art at Indiana University in Bloomington also hired a full-time art therapist. Art therapy is a therapeutic practice where we can explore your feelings, your memories, your desires, your thoughts about yourself and your life through making art—and then also through reflecting on it. In art therapy, we are focused on the process of making art, of being in the art-making and seeing what that feels like, and less on the product as something that we necessarily want to put a magnet on the fridge with, though many people do find that they feel good about the art that they make, and they want to keep it. Legari is careful to point out that art therapy serves as an “ally,” not a replacement, for other forms of treatment. He describes it as “a healing journey through the use of art and a therapeutic relationship,” emphasizing that in addition to the group sessions, his work with individual patients is also essential to the process. He explains that sometimes art therapy directly contributes to a patient’s improvement, while other times the effect is indirect, for example by helping a patient come to terms with a diagnosis. 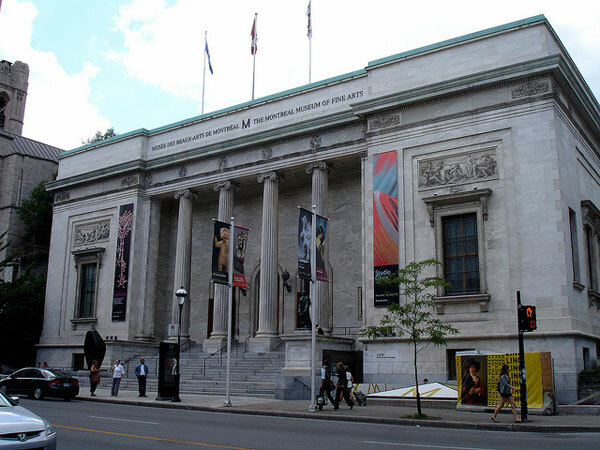 Hyperallergic notes that the Montreal Museum of Fine Arts is consulting with museums around the world to help develop similar programs. From a nonprofit museum’s perspective, this is an interesting model for generating earned revenue, assuming grants or health insurance plans are willing to pay for this type of art therapy. NPQ has previously covered many examples of innovative nonprofit art therapy programs, for example, for Alzheimer’s patients (as well as family members/caregivers) and wounded veterans. We also have reported on improv theater as a way to support both patients and caregivers.